One cool evening in late April 2015, Frederic Leturque the Mayor of Arras, a town in France, came down to the Auckland Domain and paid his respects to the men of New Zealand that had protected his town and his people. He placed one of the red metal poppy petals with a heartfelt message that then became part of The Giant Poppy Art installation. He was there to pay his respects to the New Zealanders that had protected his town and his people a century before. The effect of the Poppy and the way it engaged people resonated with the Mayor and he recently asked me if Arras could replicate The Giant Poppy Art Installation in their town square in April 2017. New Zealand has a unique and warm relationship with Arras. During World War 1 NZ soldiers were key in building massive tunnels under the town which were important for quartering animals and troops and tunneling behind enemy lines. A memorial to the New Zealand tunnellers who lost their lives was unveiled at Arras on 8 April 2007. An underground museum, Carrière Wellington incorporates parts of the tunnel system. I am a commissioned artist who has had a passion for freedom and democracy and those who fought for it. 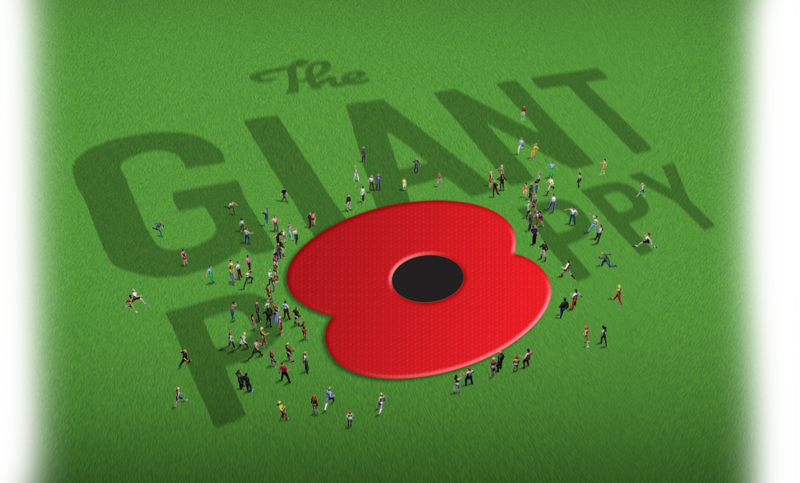 The culmination of creative thought and these very important commemorations of WW1 resulted in my idea to create a Giant Poppy art installation that gives everyone a chance to make their own personal tribute. I have a deep connection through family who had fought and died in both World Wars. I had dream to create an art piece where everyone was able to engage. And so it begins! 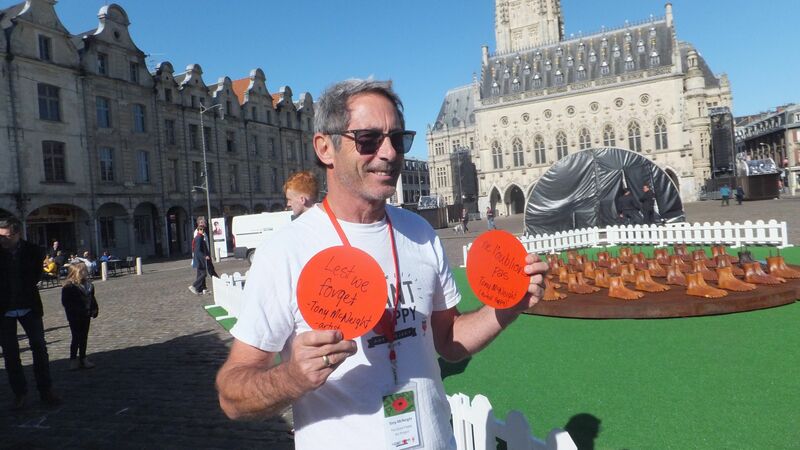 Tony McNeight with the first messages to be placed for the Arras Giant Poppy. In the background the Victory Medal sculpture by New Zealand artist Helen Pollock.